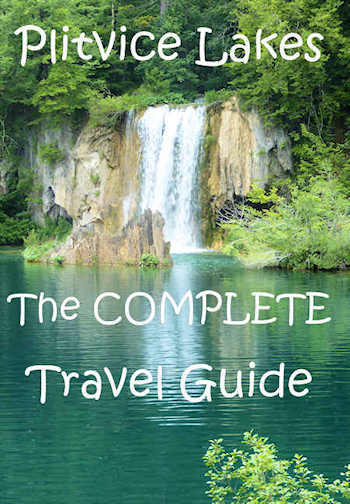 Take a tour of Plitvice Lakes! Like other National Parks in Croatia, Plitvice Lakes rests upon karst, which explains its unusual topography. Karst is highly porous limestone and dolomitic rock through which water seeps to create underground streams. What seems to be stone is actually travertine, a sort of petrified plant. The flowing water absorbs minerals from the dolomite underlying the lakes and coats the plant life, turning it to porous travertine stone. The new travertine sprouts moss and plants that again petrify and the process repeats itself. All the barriers separating the lakes are composed of travertine constantly growing and changing shape. The lake and waterfall system only covers less than 1% of the park. Forests cover approximately 75% of the Park with manmade environments such as meadows, pastures, fields and settlements covering the rest. The northeastern part of the park is covered by beech forests while the rest is covered with beech, fir, spruce and white pine interspersed with whitebeam, hornbeam and flowering ash. 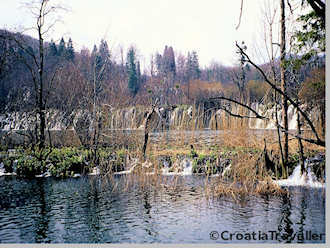 Plitvice Lakes National Park is home to 161 species of birds. You can expect to find hawks, owls, cuckoos, thrushes, starlings, kingfishers, wild ducks and herons. Depending on the season, you might glimpse black storks and ospreys and flocks of butterflies of which there are 70 species. 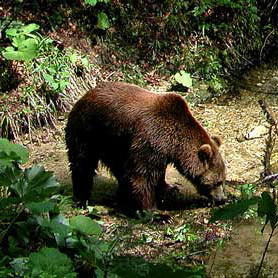 Animal life includes bears, lynx, wildcats and wolves but those rarely make an appearance. More visible are the deer, boar, rabbits, fox and badgers. Also making their home in the park are pine martens, stone martens, polecats, weasals and stoats. Other rare animals include the Italian crested newt (Triturus carnifex), alpine or black salamander (Salamandra atra), harvest mouse (Micromys minutus), striped field mouse (Apodemus agrarius) and whiskered bat (Myotis alcathoe). Plant life is also rich and varied with some 1400 species and sub-species. There are some 50 species of orchids, many of them endemic. Also look for the rare Siberian Rayflower (Ligularia sibirica) and hawksbeard (Crepis conyzifolia).